A regular professional cleaning is important to maintaining your pet's teeth and overall health. 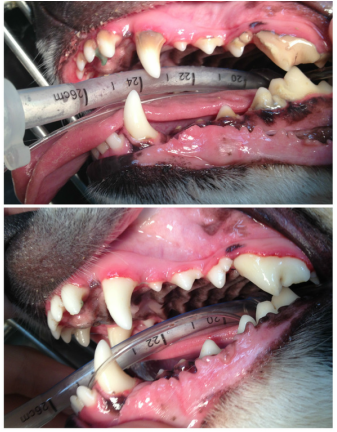 In fact, periodontal disease is one of the most commonly diagnosed conditions in adult cats and dogs. Nearly 80% of cats and dogs have periodontal disease by age 3. This condition, if left untreated, can cause issues throughout your pet's entire body; including the heart, liver, lungs and kidneys. The good news is periodontal disease can be prevented through routine dental care. 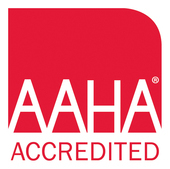 For professional dental cleanings, we use a modern and safe ultrasonic scaler along with hand scaling to clean each tooth thoroughly - above and below the gum line. Dental technicians polish teeth to create a smooth lustrous tooth surface that is more resistant to plaque buildup. Oravet application provides a barrier to prevent plaque reaccumulation after the cleaning and helps reduce bacteria in the oral cavity. If periodontal disease is present, we offer therapies to try to reverse this serious health risk including antibiotic implants and extraction of severely diseased teeth. If extractions are required, we use a multi-modal pain management protocol to try to minimize your pet's discomfort. Together we can help your four-legged children enjoy good oral health for life!